On the hunt for the perfect blush? You’re in luck! 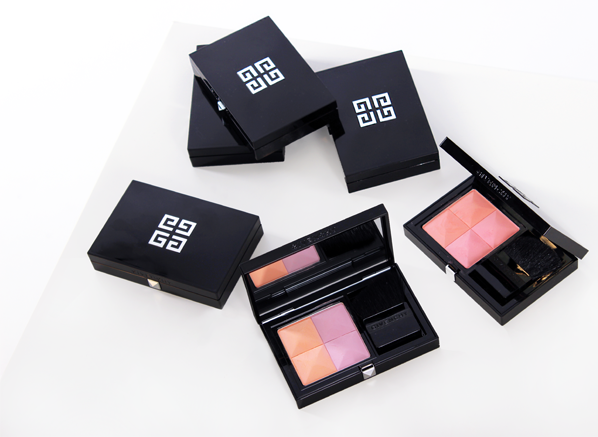 GIVENCHY has a line-up of 8 blush duos that promise to give your complexion the healthy glow you’ve been looking for. And, if that’s not enough, each duo has been created to offer made-to-measure colour, with one shade for radiance and the other for pigment. 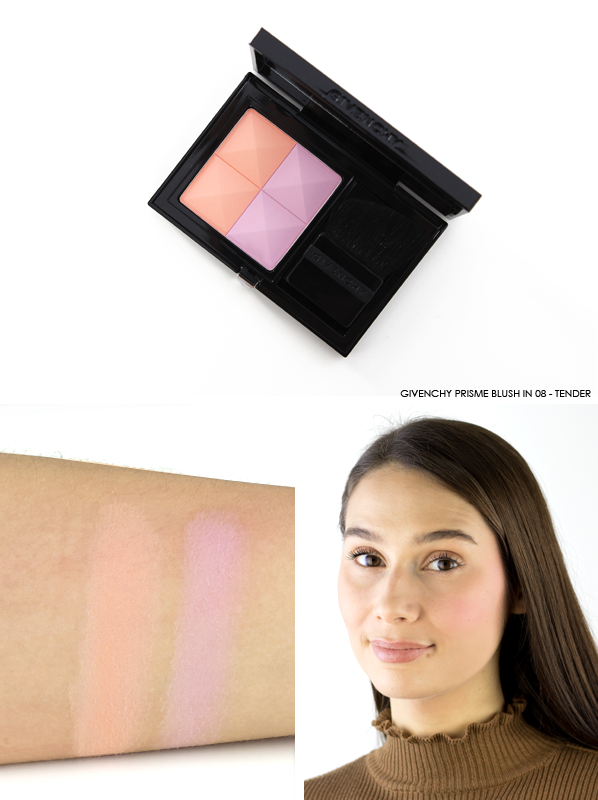 The GIVENCHY Prisme Blush line-up is all about achieving a blush finish that’s right for you. That’s why they’re duos; you can use the shades separately or mixed together for a different effect every time. 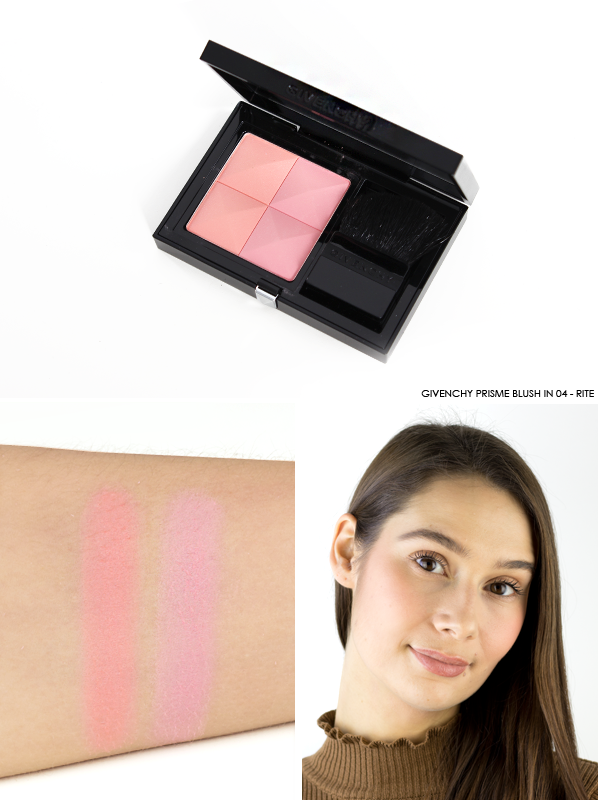 As well as their versatility, another one of my favourite things about Prisme Blush is how creamy the powder is. The smooth, easy to blend texture is achieved with black Tahitian pearl powder, lauroul and lysine; a combination that ensures ease of application and a beautifully even and long-lasting result. 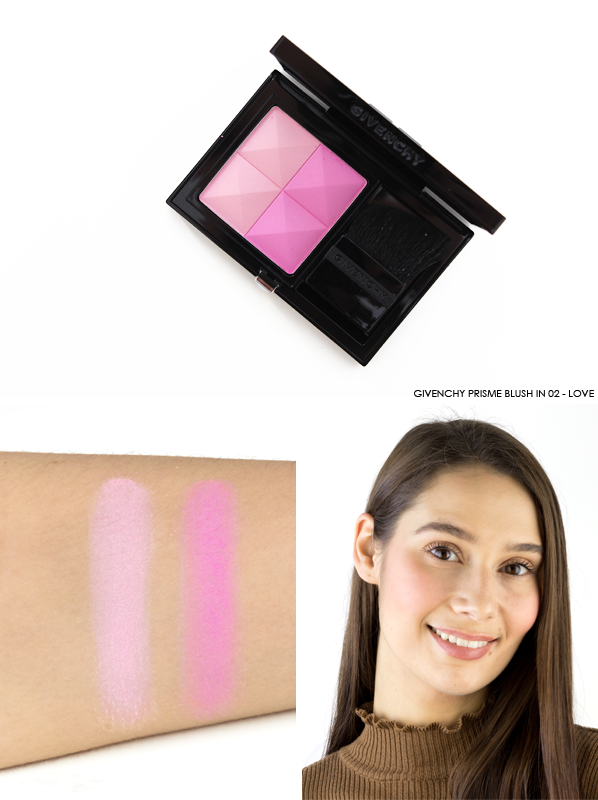 I should mention synthetic pigments here too as their inclusion gives the powders a sparkling and radiate matte finish, which leaves skin with a luminous glow – it’s the type of blush formula that instantly lifts your face and perks up your complexion. 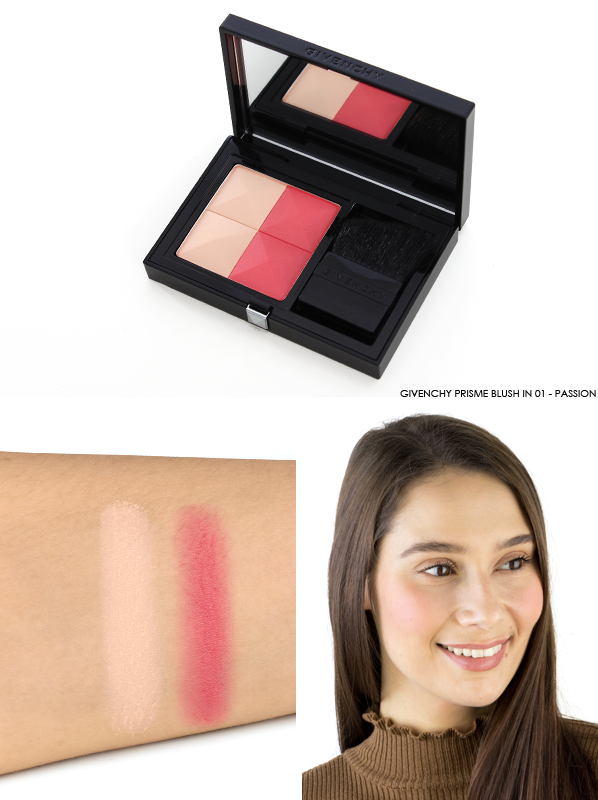 If you’re looking for a naturally flushed cheek colour that’s not too pink 01 – Passion is a perfect choice. The light neutral beige and bright red-pink blend together to give the complexion a beautiful radiance that looks healthy and glowing. 02 – Love is destined for someone that loves to have fun with blush. The duo presents a fresh lilac pink and vibrant fuchsia that has a purple undertone. If worn alone this pairing could create quite the blush statement, however, when mixed together they create a delicate pink hue. 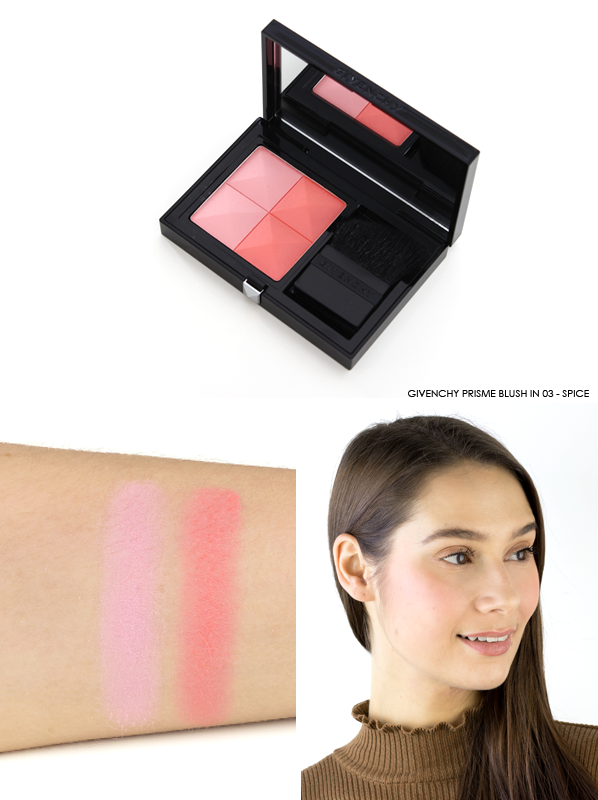 With a cool pink on one side and a warm coral on the other, 03 – Spice offers a blush shade that can be enjoyed by a variety of skin tones. When mixed together the duo creates a enchanting peach shade. 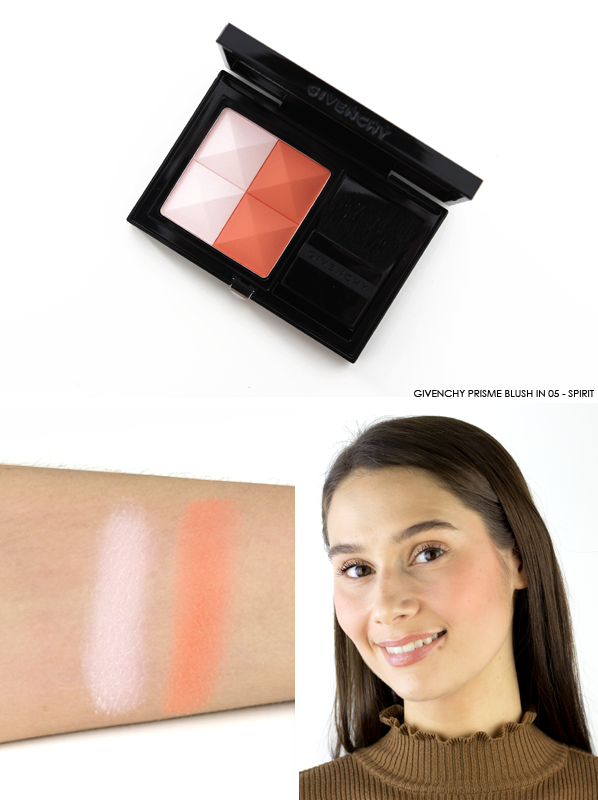 One of the sheerest of the Prisme Blush shades, 04 – Rite presents a warm peach and blue-toned pink. When applied together you can expect a subtle wash of fresh pink. 05 – Spirit is my favourite of the bunch! With an almost vanilla hue on the left and a neutral orange on the right, the pair creates a peachy pink that looks great on those with neutral to yellow undertones. Paired up within the 06 – Romantica Prisme Blush you’ll find a soft peach and a light mauve. 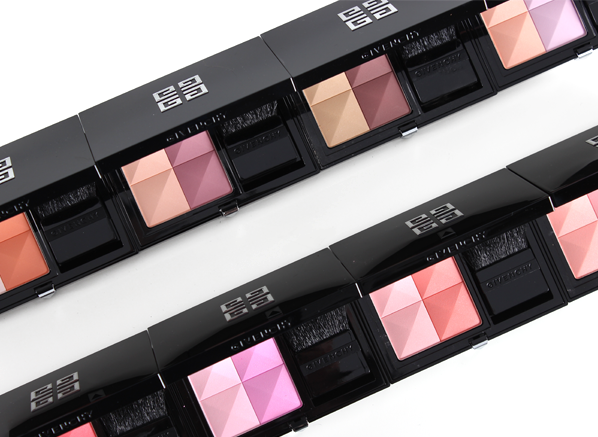 When worn together they dress the cheeks in a radiant cool pink. More of a subtle bronzer than a blush, 07 – Wild gives the complexion a warmth that can be worn subtly or built up for extra intensity. On one side is a yellow-toned powder and the other a cool brown, which work together to beautifully sculpt the cheekbones. This pastel partnership is soft and feminine. 08 – Tender offers a cool orange and pretty lilac, which marry together to give the cheeks a flush of peachy pink. Harmonious: Mix both colours together and apply to the apples of the cheek. Structured: Apply the lighter shade to the top of the cheek and the darker shade to the bottom, blending seamlessly into one and other. Soft: Only apply the lighter colour to the apples of the cheeks. Bold: Apply only the darker dark the apples of the cheek. 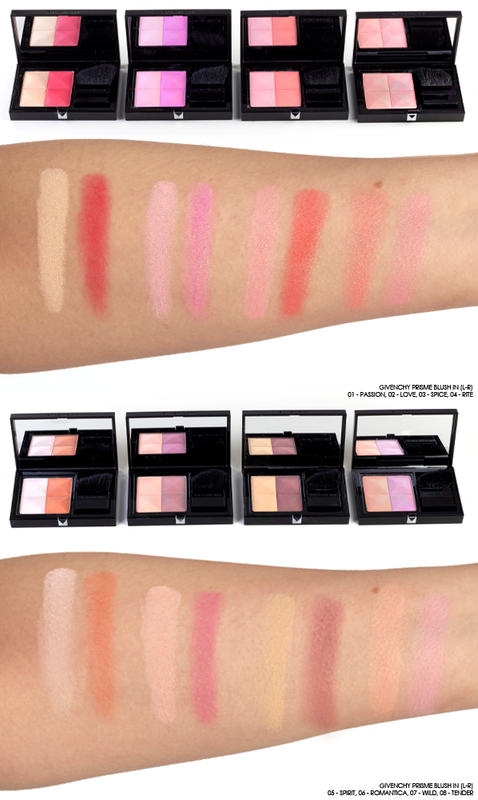 This entry was posted on Tuesday, January 23rd, 2018 at 6:16 pm and is filed under Make-up, Spotlight On, Swatches. You can follow any responses to this entry through the RSS 2.0 feed. You can skip to the end and leave a response. Pinging is currently not allowed.